Look around on the forums for advice before planning how you are going to tackle the GAMSAT. Use newmediamedicine.com and pagingdr.net. 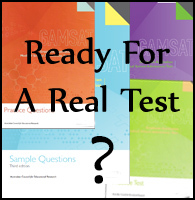 The GAMSAT is tough but a good score is achievable. Use the previous experience of others to help you maximise your chances.